Performing to clicks, backing tracks and moving images. Working practice and how studio design and usage has altered it. Presets, plug-ins and the lure of new toys. How can educators best prepare audio students for the job market? Art or Science? Should courses be contextualising audio studies with cultural theory or electrical engineering? What can universities teach students that a website can’t? The pros and cons of generalised courses as opposed to specialisms such as live sound, sound for film, television and other media etc. Who should be teaching audio? Professional and academic backgrounds. Where are the jobs, income streams and growth opportunities in the current market? What’s the future of education in this sector? The conference panel would like to invite delegates to submit ideas for presentations exploring aspects of music production, performances and practical demonstrations on any topic relating to the Art of Record Production. We welcome work from any relevant academic perspective, including but not limited to popular music studies, ethnomusicology, the study of performance practice, communication studies, historical musicology, the history of technology, ergonomics, acoustics and psychoacoustics, music theory, music cognition, music and music technology education, and the philosophies of music, mediation and technology. Please include a note on methodology where appropriate, and an indication of the theme your work is intending to address. 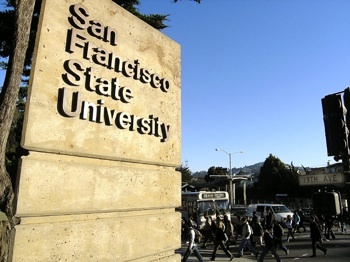 Papers or demonstrations that require recording / studio / 5.1 playback facilities are also encouraged but selection will be subject to a feasibility study by the conference panel at San Francisco State University. Proposals for individual papers and poster presentations should not exceed 500 words and should be in Word Document, Rich Text File or Text file formats (doc, docx, rtf or txt files).